Description:Third Street Music School Settlement returns to the NYU Skirball Center for the Performing Arts for the third year in a row to present its annual holiday concert, featuring some of New York City’s best and brightest young musicians. The longest-running community music school in the nation, Third Street Music School Settlement was founded in 1894 as part of the settlement house movement. Once providing social services and music instruction to the Lower East Side’s immigrant population, Third Street’s East Village location and partner programs in 25 schools around New York City provide music and dance instruction to a diverse group of more than 5,000 students of all ages. Third Street is excited to present its annual holiday concert. For more information on Third Street—New York’s community music school—please visit www.thirdstreetmusicschool.org. Please click on a star rating for Third Street Music School Settlement Holiday Concert. 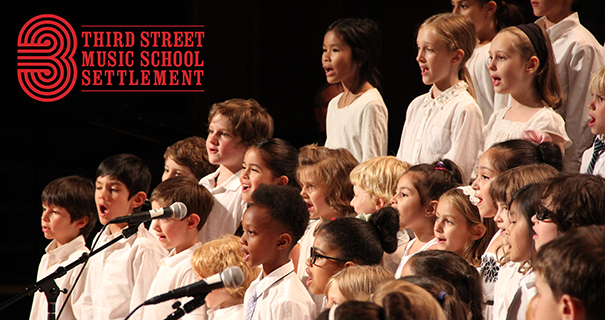 Please type your review for Third Street Music School Settlement Holiday Concert.